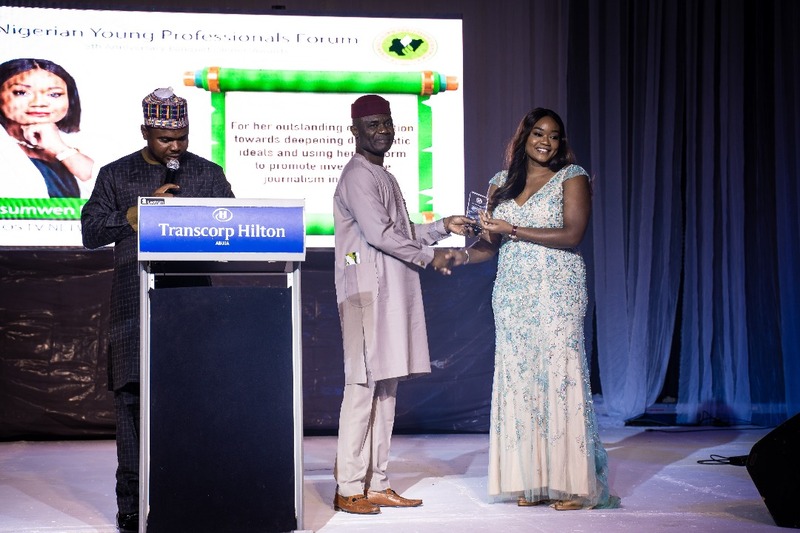 The 5th anniversary banquet dinner/award of the distinguished Nigeria Young Professional Forum has recognised and honoured the outstanding and significant impact of prominent TV political analyst and presenter, Chief Osasu Igbinedion. The award recognition was in view of her significant contribution towards deepening democratic ideals and creating a platform to promote investigative journalism in Nigeria. Chief Osasu Igbinedion is a Nigerian journalist. 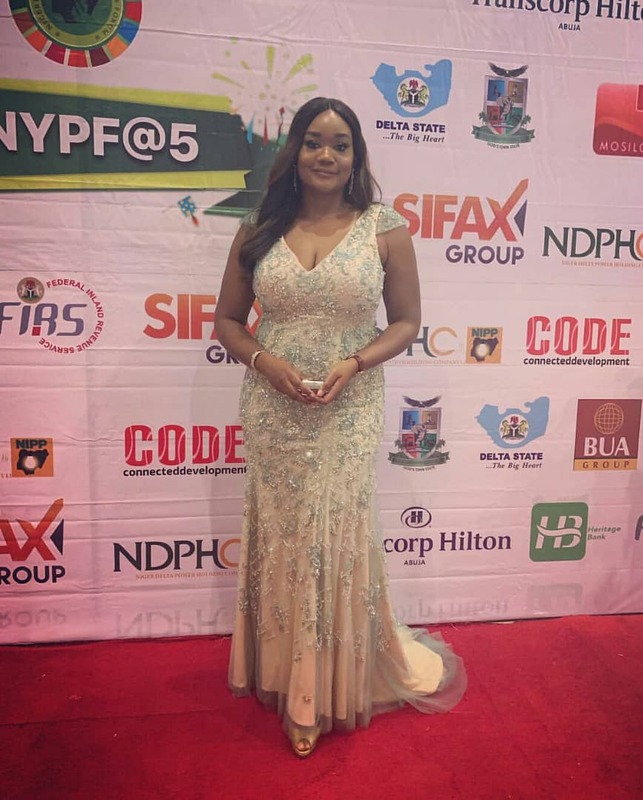 She is the host of the popular "Osasu Show", a syndicated TV show focused on development, business, and politics in Nigeria and the United Kingdom. The "Osasu Show" has hosted several top politicians, leaders and public office holders in Nigeria and across the globe. Her objective interrogation, interviews and critical analysis on issues that bothers on national growth and development has driven her into the realm of indelible significance as an active professional in the fourth estate of the realm. Her show has continued to set relevant agendas that sustains democratic ideals, investigative journalism and objective analysis to engender sustainable development in our nation. While receiving the award, chief Osasu expressed gratitude to the organisers of Nigeria Young Professional Forum, for the honour and recognition she received. She threw accolades also to Moses Siasia, whom she recognised as her first employer. Most interesting was when Chief Osasu dedicated the award to women and young girls all around the world, encouraging them to believe in their dreams without despair. On the other hand, our reporters observed the imperative joy and fulfilment in her comportment and facial gestures as the female icon and role model descended the stage in an expression of professional nirvana. 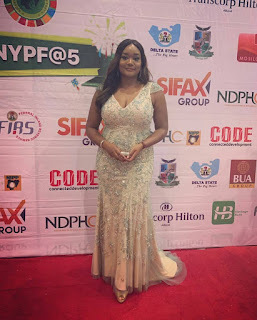 The event of the 5th anniversary banquet dinner/awards of the Nigeria Young Professional Forum attracted the presence of high profile personalities in Nigeria.